There’s no doubt that the hardest part of losing weight is being hungry and not being able to shovel food into your mouth. If you’re constantly reaching for protein bars, that could be part of your problem. Shifting to plenty of fibers and lean protein is a helpful way to go into a caloric deficit but not feel as if you’re dancing on the edge of starvation. Along with choosing real food, there are several other foods to carry you over throughout the day. Nuts can sometimes get a bad rep for their health benefits, or lack thereof. Pistachios are a low-calorie and low-fat way to enjoy nuts. 28 peanuts or 22 almonds are the equivalent of 48 pistachios. The best part is that the fats that do come from pistachios are heart-healthy unsaturated fats. 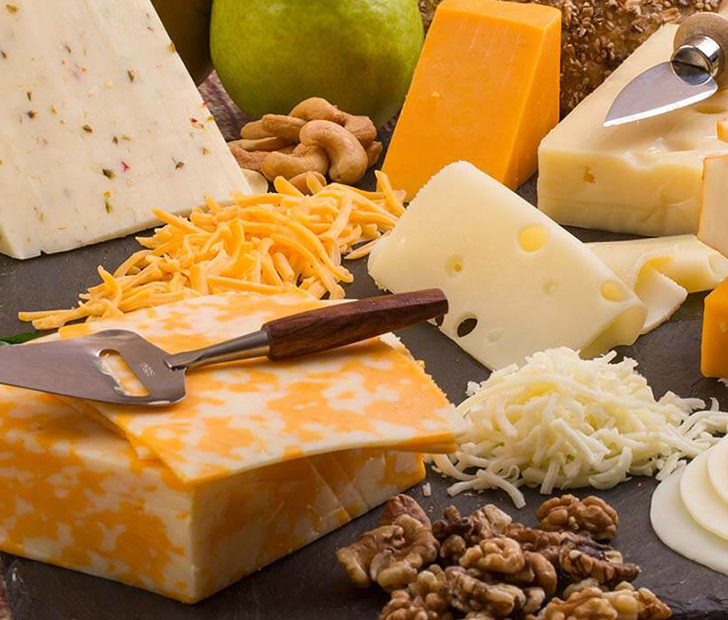 Your fit-friends who just turned vegan told you to dump the dairy but if you’re looking to lose weight, cheese is a great way to get calcium, vitamin D, and protein. Not to mention, it is great for maintaining muscle mass which helps speed up the metabolism. For the best benefits, stick to reduced-fat dairy. If you’re feeling like you might cluck if you eat one more piece of chicken, pull out some salmon— the lean protein that aids in weight loss thanks to Omega-3 fatty acids. Add a side of fibrous vegetables and you have a fat fighting meal. Of course chickpeas are full of protein but it also gives you a reason to shovel raw vegetables into your mouth. Hummus with olives, carrots, or celery while you prepare dinner is one way to get a low calorie and filling snack before getting to the main course. Most broth-based soups are brimming with vegetables and lean protein creating the perfect recipe for getting full on fewer calories. Having a soup before a meal can cause you to take in 100 fewer calories because the warm broth takes up space in your stomach. Talk about an appetite suppressant better than a Weight Watchers bar. Have you tried any of these to help lose weight? Comment below and share with your friends on Facebook!